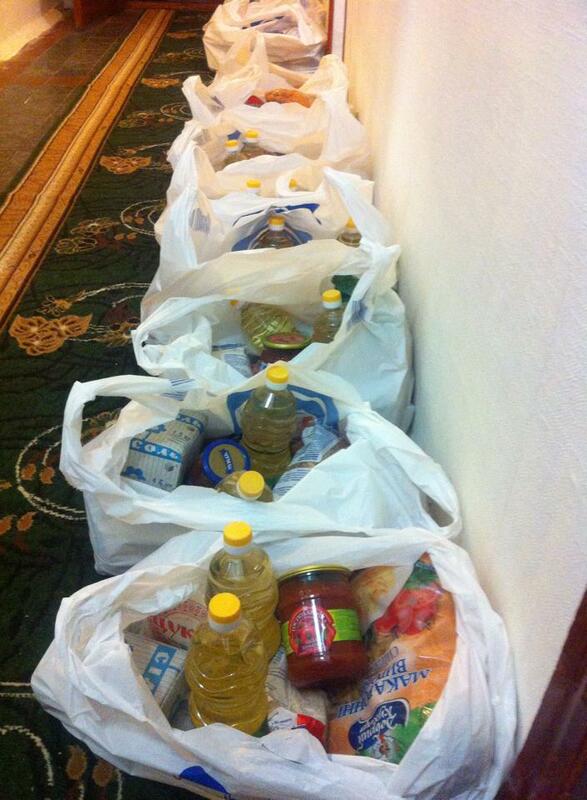 Today we will deliver some basic food stuffs to some of the poorer families around the area. Now let me put that in context: a worker in Kiev with a good professional job, engineer say, would take home 3000uah (£153 at today’s rate) per month. The exchange rate has about halved in the last 6 months. A 2 room apartment (rooms not bedrooms) with kitchen and bathroom costs 4000uah per month! And thanks to the political problems here prices have risen over 20% but wages have fallen. Companies are struggling so there is less work! So you can imagine that if someone who is relatively well positioned in society is struggling how are the poorer ones. Not rocket science is it!! And we get so protective of our privileged position we cannot bear to allow others ( even EU citizens) to have a share!! A lot of the wealth in the UK comes from the finance sector I believe and a lot of that is “stolen” money from corrupt politicians and business people which rightly belongs to the people of those countries! I include Ukraine and Russia but there must be many others!! It is hard not to be cynical when faced with the results of such crass two facedness of the west! !